Let’s face it. Many membership professionals have struggled with low engagement for so long, some may wonder if their program has been damned to membership purgatory. It’s not easy to build a successful membership organization. And it’s even harder to maintain sustainable membership levels, especially when so many other competing groups vie for your member’s attention. The study also revealed many new insights into the mind and spirit of today’s members. Consequently, we’ve identified a few uninspired practices that are downright blasphemous when it comes to member engagement. The result is that many organizations are unnecessarily being removed from the good graces of their members. A prideful disdain for member feedback is an unrighteous abomination to your members. Our study revealed an average 27% gap between how leaders assess their understanding of their members, and how members assess how well the organization understands their needs. That’s a significant gap, and reveals a slovenly approach to meeting the needs of your members, and not keeping them engaged over time. To keep members engaged, organizations should be frequently surveying their members, inviting their input, and making adjustments as a result of the feedback they recieve. Organizations that lack value, and don’t inspire members to stay connected, will ultimately suffer the consequences of member wrath. Our study underscores all members’ level of devotion to receiving value from any organization they join. It doesn’t matter if your organization is a trade or professional association, a non-profit member-based organization, or constituent advocacy group, your value proposition is what attracts people to you. Without adding value to those who choose to affiliate with your group, you have nothing to attract, engage and compel your constituents to stay involved. Value attracts attention. Value leads to engagement. Which leads us to our next deadly sin about ignoring member benefits. Being greedy and refusing to invest in member benefits transgresses the law of reciprocity. The law of reciprocity says basically “when someone does something nice for you, you will have a deep-rooted psychological urge to do something nice in return, and usually, you reciprocate with a gesture far more generous than their original good deed. That’s why successful organizations spend considerable time and resources building a suite of benefits, focusing on relevance, immediate value, and ease of use. Floundering organizations ignore or neglect their benefits, yet still rush out to build an acquisition program before their benefits are fully in place. When you do a good job of building out your benefits, members recognize that the value of membership exceeds the cost, they will grow less sensitive to the cost of membership, and become increasingly loyal as a result. Our study revealed a direct correlation between the quality of member benefits, and member retention. Groups offering quality benefits have high member retention. Groups that offer low benefits suffer from high member churn rates. It’s really that simple. A lust for short-term revenue at the expense of life-long relationships can evoke disaffection, leading members down forbidden paths. The initial membership transaction is just the starting point, not the primary objective. Successful membership organizations aims to engage members over the long-haul, rather than just to generate operational revenue. That’s because the membership relationship is much like a marriage. The expectation should be that it will last a lifetime. But just like any successful marriage, the relationship takes a lot of work if it’s going to last. Both sides must contribute, and the relationship must adapt and grow over time. If there is little or no value in the relationship, the member will eventually feel used, neglected or betrayed, and the separation can often be bitter. Just talk to someone who has left a membership organization after a long relationship. Ask them why they left, and you’ll likely unleash some strong emotions, and it often relates to a feeling of betrayal, whether real or perceived. Creating a life-long relationship with a member is more important than any short term revenue a membership generates. Not tracking the rate at which your members lapse is a slothful waste of time and money. Churn (the rate at which members lapse or choose not to renew) is the lagging indicator of member dissatisfaction and even disaffection. When members lapse, the rate at which they stop renewing should be monitored frequently. 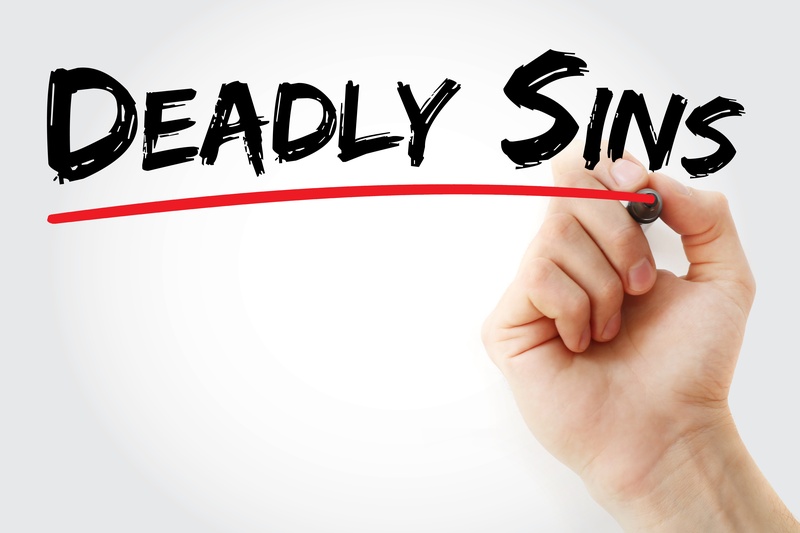 However, by surveying members regularly (See Deadly Sin #1) it can help anticipate retention issues. If you use an auto-renew system, look for a spike in members turning off their auto-renew. It’s an indicator that members are seeing less value in your benefits. Members crave a simple and efficient way to join, but a ravenous bureaucracy and can be a glutton of your resources, threatening your organization’s efficiency. Make is easy for new members to join. It should be so easy that if a member should make an impulse decision to join, they can complete the task in a jiffy. Successful organizations make it easy for members to join and stay a member, even if it requires a complex process behind the scenes. Simplify the UX/UI enrollment process and remove all barriers to joining. Similarly, you must provide a memorable and simple onboarding process. Effective onboarding is crucial to long-term member retention. Reward members with a personal touch, and give them substantial value within the first few days of joining, when members are most invested in your organization. When a member senses your efforts are to build a lasting relationship at the outset, and not just execute a business transaction, it changes the tone of the entire relationship. The success of similar organizations may lead to envy and a desire to follow their example. But following the lead of the wrong organization may be the biggest sin of all. Much can be gained by following the example of a successful organizations. But not all programming decisions, benefits and activities can be successful for all groups. Just because “other organizations do it,” doesn’t mean yours should too. A great example is in higher education, where dues-paying alumni associations are quite successful at larger schools, such as those affiliated with Power 5 football conferences. These schools enjoy national exposure, and have developed a huge national following from fans who have never stepped foot on campus. Seeing the success of a dues paying program inspired many medium and small schools follow suit. They created their own dues-paying program and hoped for similar success, but the results were a disaster. For the Power 5 conference schools 70% report their dues-paying members renew. All other schools see only a 44% renewal rate. For trade and professional associations, pick your peer organization carefully, and don’t assume that you can duplicate their successes simply by copying their programs.